It is no secret that every year for Spring Break, lots of young people from around the country head to Destin. The warm Florida weather, spectacular beaches, and abundance of activities make Destin an obvious getaway. It is important not to think that Destin is just a place for young people, however. 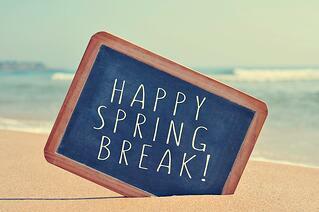 Destin is also the perfect spot for families to come and enjoy a week off from school and work during Spring Break. There are so many things to do in Destin that a person of any age will enjoy. You’re probably familiar with the white sandy beaches and activities such as parasailing, jet skiing, etc. Here are some other activities you may not be as familiar with that are great things for families to do when visiting Destin during Spring Break. Building sandcastles is a classic family activity, but don't stay content with ordinary castles made from a single bucket and spade. Believe it or not, you can actually take family sandcastle lessons that will teach you to create the most amazing sand structures. These fun, beachside lessons will teach you how to get the perfect consistency for sand sculptures. They will also provide some unusual tools that kids will love for construction. Gator Beach in Destin is a favorite attraction, particularly for kids. Gator Beach is open to customers of the iconic Fudpucker’s Beachside Bar & Grill. Enjoy a great meal and then check out the alligators that call this place home. Over 80 alligators inhabit Gator Beach. You can feed them by cane pole, catch one of the educational gator shows, and even have your picture taken holding a live gator. It’s a great option to entertain the kids and grab a bite to eat all at the same location. People from all over choose to come to Destin for Spring Break to escape cooler weather and enjoy the warmth of the sun and the water. Snorkeling is a fantastic way for families to stay active, learn more about underwater marine life, and have a blast in the process. Snorkeling in Destin is a fun pastime for beginners and pros alike and there are lots of places to enjoy this activity. Rent a pontoon boat and head to the grass flats near Crab Island or the Destin jetties. The jetties in particular are a popular spot for families because the depth varies so much. Inexperienced swimmers can stick to shallower areas, while serious snorkelers will appreciate that a little farther out, the ocean floor is more than 50 feet below the surface. Fishing is a quintessential family vacation pastime, and Destin is easily one of the best places in the world to give it a try. Fishing in Destin accommodates all types of fishing from deep sea to bay waters. Best of all, you don't need to invest in specialty equipment, and the odds of catching something are very high. After all, Destin is nicknamed the World's Luckiest Fishing Village! If you have your own fishing equipment, you're all set. Otherwise, you can rent it from several spots along Destin's HarborWalk. If you're renting a pontoon boat, you can bring it all aboard for a minimal fee. When you want a break from the beach and surf, take the family out for the day on a double-decker pontoon boat. Make sure to rent one that has two waterslides to really add to the fun. Renting a pontoon boat in Destin allows you to cruise the bay, spend some time at Crab Island, visit waterfront restaurants, or drop anchor and catch some rays while the kids enjoy the slides. Chances are, it will become one of your must-do activities on subsequent trips to Destin. Spring Break in Destin for families is a clear winner. As you have read, many family activities can be accessed or enjoyed from a pontoon. Be sure to check out the new double-decker pontoons with two waterslides available at Double Fun Watersports. They have everything you need to create an exciting and memorable Spring Break in Destin for your family.